1) Water will release heat if temperature decreases. Released heat is ratable with temperature difference and flowing volume through meter. 2) Flowing volume signal comes from flow sensor, temperature difference comes from temperature sensor pair,as result the calculator will calculate heat according to the flowing volume and temperature difference. 4) For Ultrasonic heat meter, communication via M-BUS, RS-485 for option. 4.Intelligent design and can record energy and flowing volume. 5.Small size, Light weight and beautiful appearance. 6.Measuring device have no motion parts and no abrasion.It won’t be affected by working time. 7.High accuracy and meet EN 1434 metrological class B and CJ128 metrological class 2. Water will release heat if temperature decreases. Released heat is ratable with temperature difference and flow volume through meter. Flow volume signal comes from flow sensor, temerature difference comes from temperature sensor pair, as result the calculator will calculate heat according to the flowing volume and temperature difference. Therein,Δθmin means the minimum temperature difference, and Δθthe actual temperature difference. 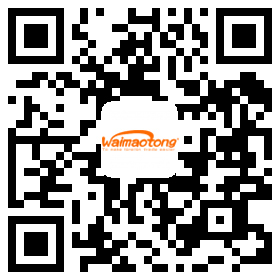 Company Name:NINGBO YONGGANG INSTRUMENT CO., LTD.